Do I really need to justify the title of this post or do you just get it? I just get it. 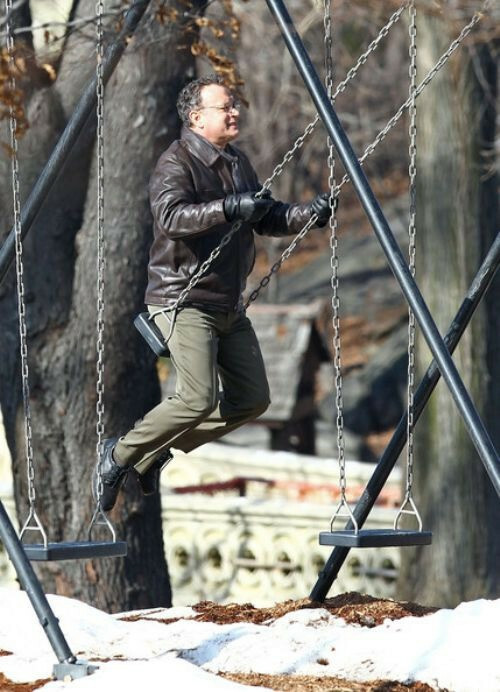 The legend of Tom Hanks grows exponentially larger everyday he walks this Earth. A man equal in his fame cannot match his humbleness. Humble pie for breakfast, lunch, and dinner. I’m not sure what would happen if Tommy Hanks and William Murray started hanging out, probably would form a black hole. A black hole filled with the awesomeness of 1 billion suns. Posted on April 15, 2014, in Average Blog Posts and tagged awesome, bill murray, swing, tom hanks, toy story, william. Bookmark the permalink. Leave a comment.